Amber Peitzmeier — founder and owner of ALW Tax and Business Services LLC — is an IRS AFSP PTIN tax professional, bookkeeper, certified Quickbooks ProAdvisor, and IRS authorized eFile provider. She provides accounting and payroll services, financial planning and reporting, taxation services, small business consulting, and more. 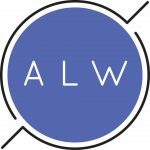 Work For ALW Tax and Business Services LLC? Claim This Page.